Simply put, VNA (Virtual Network Administrator) allows 24×7 monitoring of your server hardware and system software by our Network Engineers to resolve most issues before they are noticed by your users. 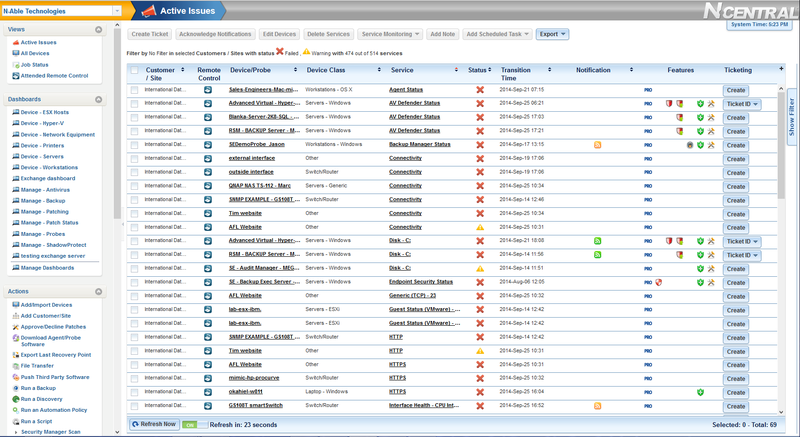 VNA is an intelligent management system that alerts our response team and allows us to see PRE failure warnings for your servers so we can resolve the issue before they cause downtime affecting your employee productivity and further protecting your data availability. IT Departments in all organizations are understaffed—leading to the most basic operations being missed. Assumptions are made on the integrity of yours servers, backups and data protection every day. If your company data is important—who is responsible for backing it up? These small but critical responsibilities are sometimes forgotten. The result of this scenario is inevitable…a massive loss of data. VNA provides a constant and comprehensive health assessment viewed in real time. Issues will be reported to our Network Engineering team as they happen and resolved most times before you know there was even a problem. Network Magic has been protecting corporate data for 20 years. The evolution of our industry has been monumental. It’s our goal to make it easy for our customers to focus on their own business. Data loss, network integrity and system downtime all affect your bottom line. VNA significantly minimizes your risk. while we monitor your network to ensure its stability and security.